In 2016, the cool, marine-influenced climate of Drum Canyon Vineyard resulted in a supple and velvety wine, with enticing aromas of raspberry, cassis and flowers. 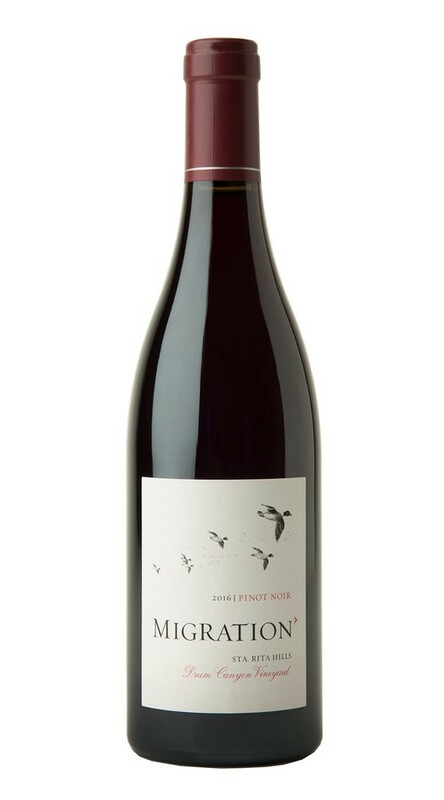 On the palate, impeccably balanced acidity brightens the flavors of Bing cherry and sweet berries, with hints of vanilla and oak accentuating the vibrant fruit and carrying the wine to a lingering, well-textured finish. The 2016 growing season provided another excellent vintage in the Sta. Rita Hills. Warm weather in February was moderated by cold night temperatures, which delayed budbreak until early March. Ideal weather during flowering and set was followed by somewhat cooler temperatures during the growing season, with bursts of warm spells allowing for optimal ripening of the fruit. Crop yields were average, and the berry size was small-to-medium, offering lovely concentration and complexity.